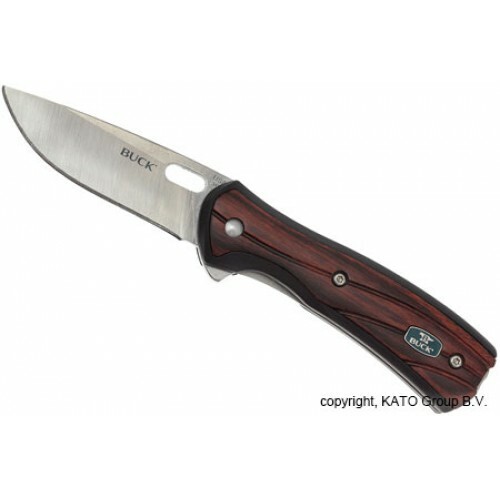 Buck 346 Vantage Avid Large Rosewood with plain edge 420HC stainless steel blade and contoured rosewood handles. Dual stainless steel liners and liner lock for durability and dependability. One-handed opening by either the thumb hold or built-in flipper. Rich looking rosewood handles are CNC machined for exact fit and finish. Includes reversible discreet carry pocket clip. Brand new direct from Buck Knives.